There are awards for almost anything these days and now thanks to IllicitEncounters.com there are The National Adultery Awards AKA the Cheaties! The inaugural awards will be held at the end of September at a secret location and they claim they’ll be handing out more “cheaties” than Tiger Woods has had secret girlfriends, in an event tenser than a family meal at Ryan Giggs house. Kieran Hayler, Paul Hollywood and Ryan Giggs are all in the running to be honoured at the first ever National Adultery Awards. They are the 2014 Cheater of the Year, the ‘we all would award’ and the NAA Fellowship Award honouring the greatest all time cheater. Those in with a chance of picking up the Fellowship award include serial adulterer Ryan Giggs, movie star Arnold Schwarzenegger, golfing legend Tiger Woods, footballers Ashley Cole and Wayne Rooney and leading man Hugh Grant. Cheater of the Year will be another hotly contested category with famous faces up for this gong including Katie Price’s cheating spouse Kieran Hayler and TOWIE stars Mario Falcone and James Lock. Other contenders include Bake Off star Paul Hollywood, from the political world UKIP leader Nigel Farage and French president Francois Hollande, Made in Chelsea celebrity Spencer Matthews, TV bad boy Jeremy Clarkson and foul mouthed chef Gordon Ramsey. Categories being voted for by the panel of judges are the punching above their weight award, worst kept secret, what were they thinking, reality TV cheater, sports ‘player’ of the year, best movie affair and TV affair. 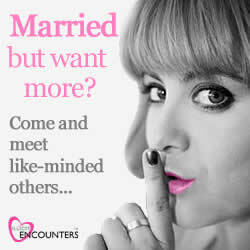 Among the judges are a relationship expert, serial mistress, journalist and a representative from IllicitEncounters.com. Mike Taylor from IllicitEncounters.com said: “There are award ceremonies to celebrate pretty much everything now, so why not one to celebrate all things illicit? “We’ll be handing out ‘Cheaties’ to some of the biggest names in reality TV, esteemed actors and actresses and some of the most well known players in the sporting arena. “We’re expecting some entertaining acceptance speeches, no doubt a few tears will be shed and some serious back slapping going on.